Are the BAU’s FBI agents still the best of the best during the 14th season of the Criminal Minds TV show on CBS? 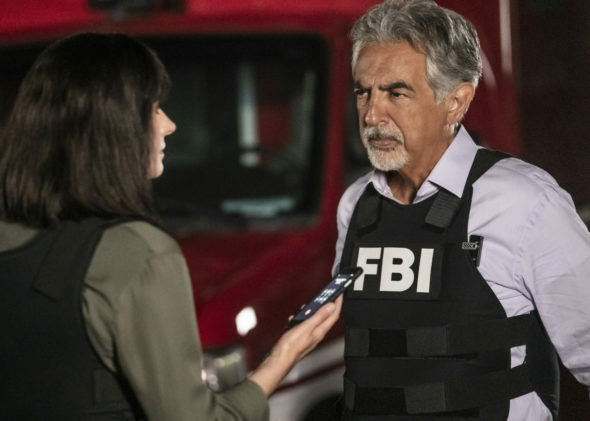 As we all know, the Nielsen ratings typically play a big role in determining whether a TV show like Criminal Minds is cancelled or renewed for season 15. Unfortunately, most of us do not live in Nielsen households. Because many viewers feel frustrated that their viewing habits and opinions aren’t considered, we’d like to offer you the chance to rate all the season 14 episodes of Criminal Minds for us. **Status update below. What do you think? Which season 14 episodes of the Criminal Minds TV series do you rate as wonderful, terrible, or somewhere between? Should CBS cancel or renew Criminal Minds for a 15th season? Don’t forget to vote, and share your thoughts, below. **Status Update 1/10/2019: CBS has renewed Criminal Minds for a 15th and final season, and that last season will be shorter. Details here. More about: Criminal Minds, Criminal Minds: canceled or renewed? I will keep watching criminal mind re-runs as long as they are on television. still hoping, and praying that they do not cancel the show, they have been like family and it will be a great loss!! Please never cancel Criminal Minds…It’s the best Show on the Planet……love every episode…Never ever cancel….Love Matthew Gray Gubler and Kirsten Vangsness she really knows her stuff…and Pager Brewster is wonderful..I love them all….A.J. Cook outstanding……. Please don’t cancel Criminal Minds I watch all the reruns even I’ve seen them. Keeps me captivated. A rare view into a powerful federal level criminal investigation team. I am intrigued with the show and it sheds light on the evil and destruction that actually exists in this world. I would like to have the opportunity to continue watching this program. Here again to beg CBS to not cancel Criminal Minds!! Love the show so much, maybe another network would take the show on?? Also maybe a petition could be started ? I would like to know also who reads all these replies?? Are all these replies actually going to do anything?? Please don’t cancell Criminal Minds!! My very favorite show! They are like family!!!!!!! PLEASE! PLEASE! PLEASE! DO NOT CANCEL CRIMINAL MINDS. They are like family, and the show keeps me grounded. I wash re-runs all the time. I look forward to all the new ones. Please DO NOT TAKE THEM AWAY!!! BRING IT BACK!!!! PLEZ … Been watching this show for over a decade…BEST SHOW EVER!! Sorry to see it go, another really good show. Not looking forward to not having new episodes to watch since I’ve seen seasons 1 thru 11 so many times. Gonna miss the OG cast.